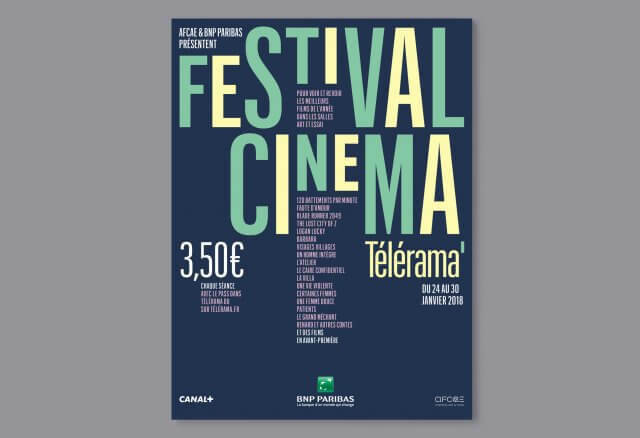 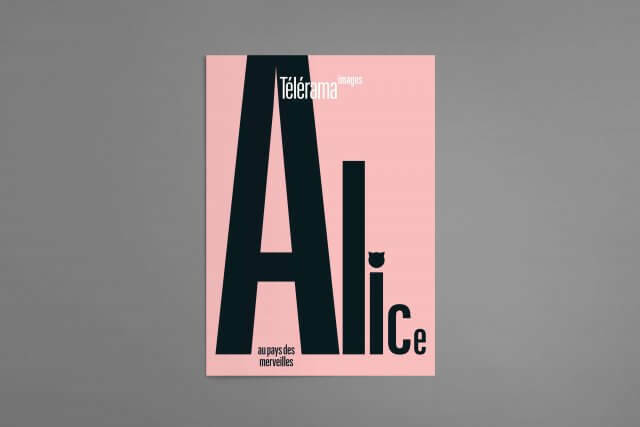 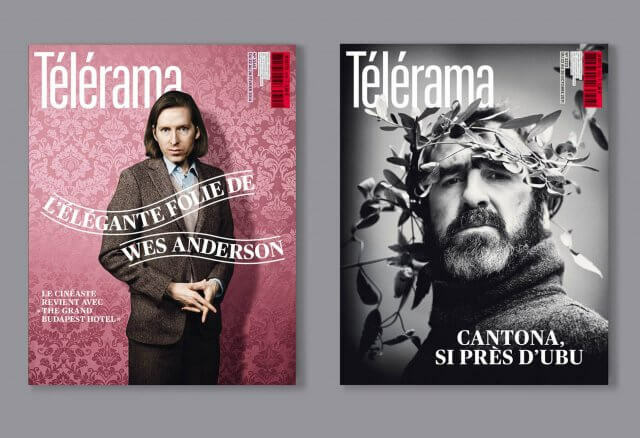 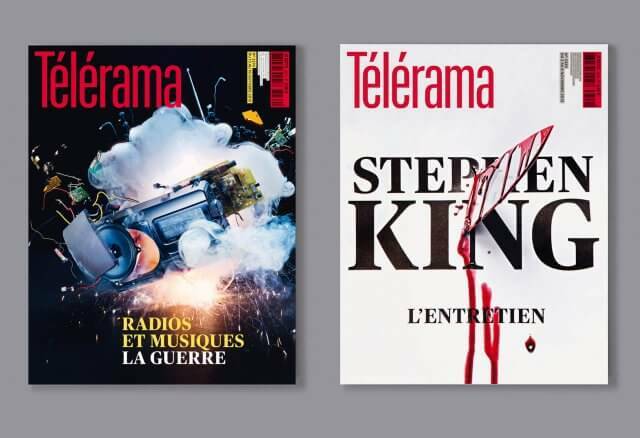 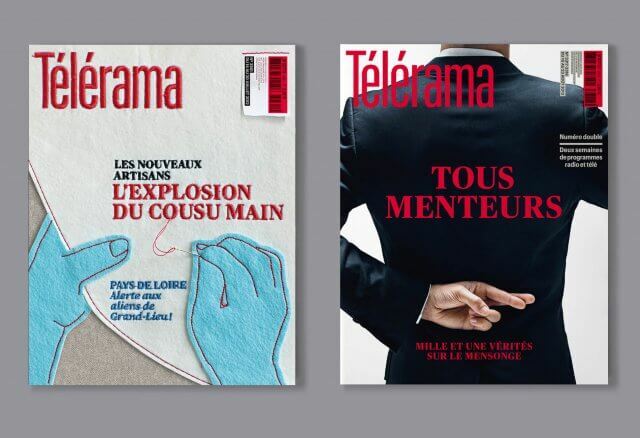 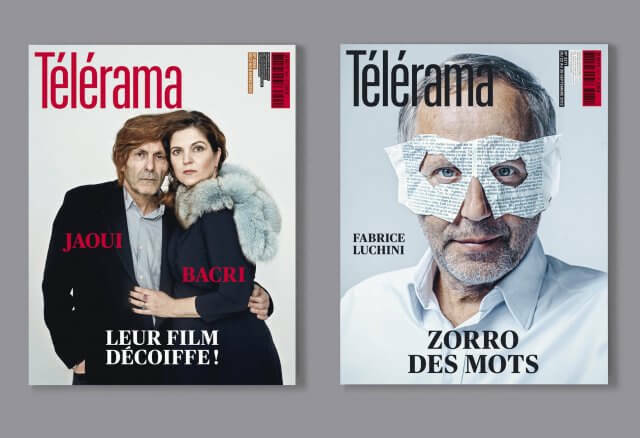 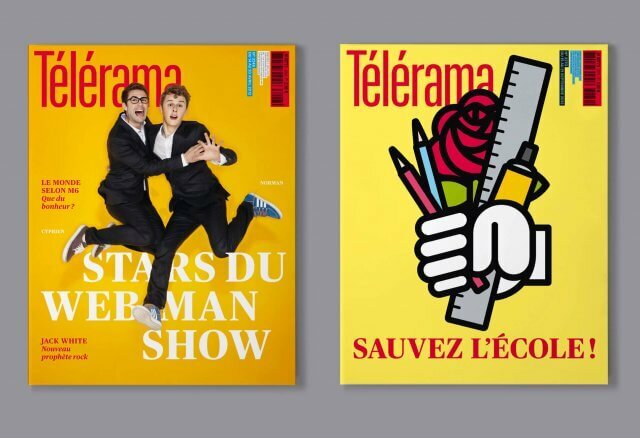 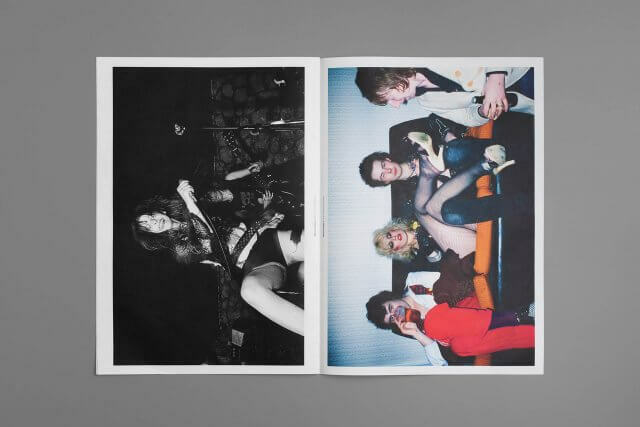 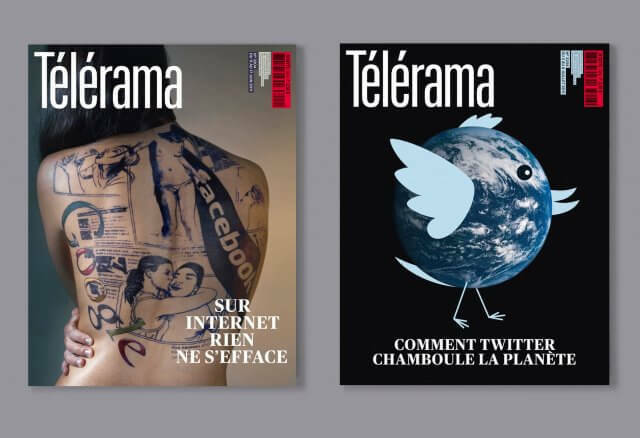 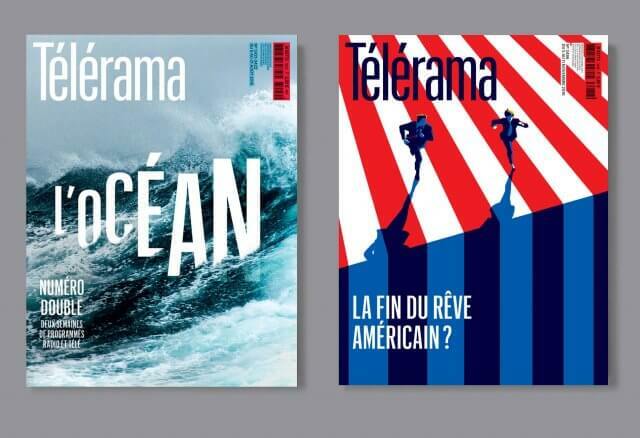 Télérama is more than a just a magazine, it is a major player in the French cultural scene. 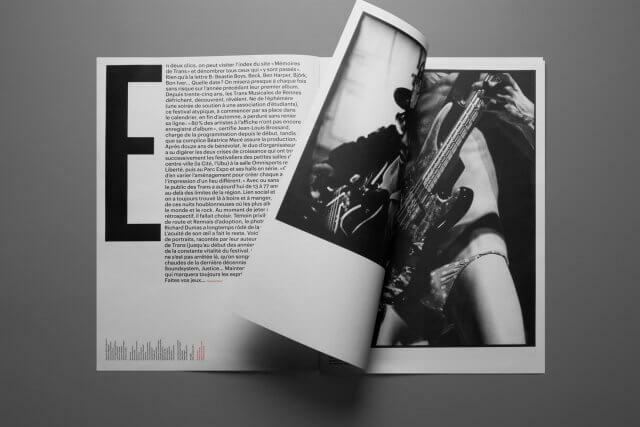 It has a circulation of 600 000 copies and is an influential publication. 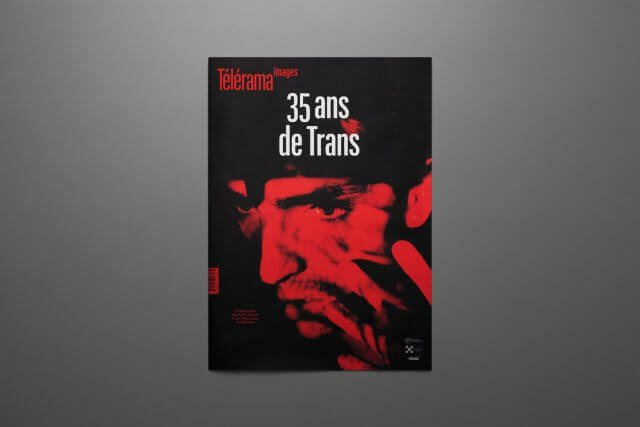 Founded in 1947, it is an institution which has built its identity on two strengths: on the one hand, an understanding of current cultural affairs based on interviews with key creators and in depth journalism, and, on the other hand, a solid and uncompromising analysis of the cultural pieces presented to the public. 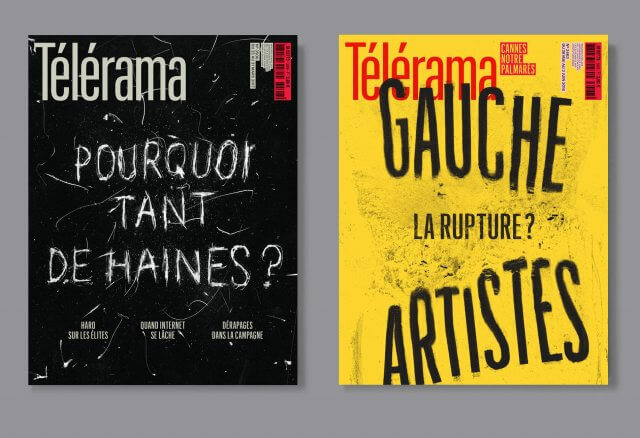 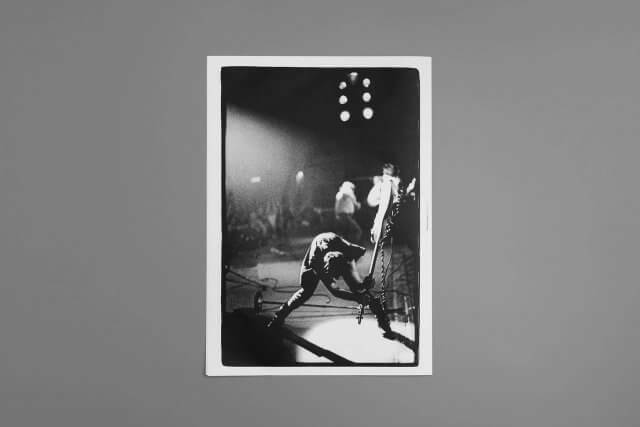 Throughout the magazine this identity is conveyed by three sections: the magazine, the ‘cahier critique’ and the TV/Radio reviews which offer an analytical selection of the programs. 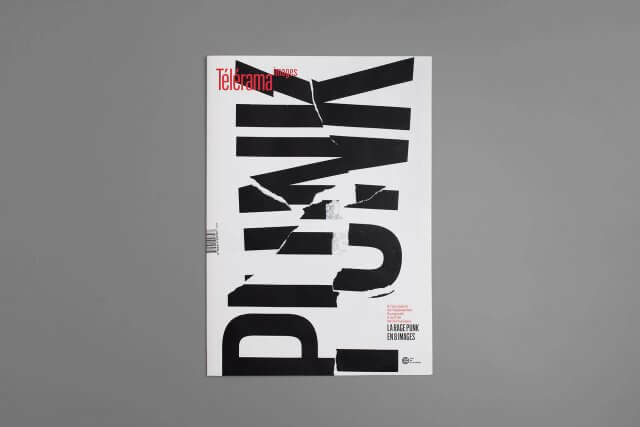 The new design had to strengthen this identity and make the magazine more readable as well as appeal to a wider audience. 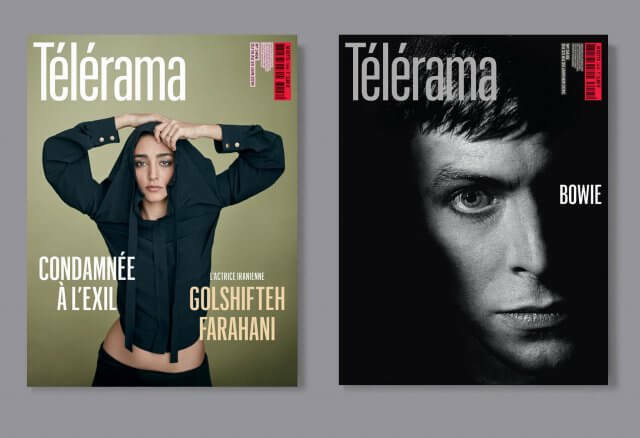 We reinforced the structure of the magazine increasing the identity of each part through it’s basic function: to inform, to anaylize, to review. 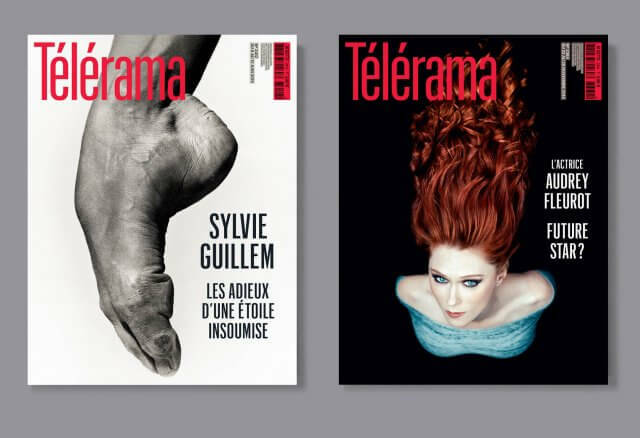 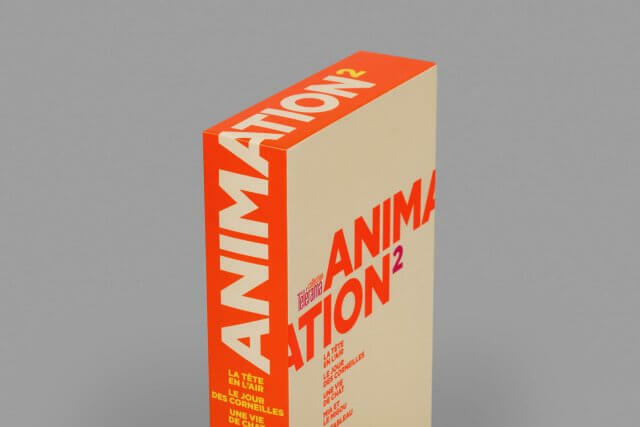 The cover allows greater freedom for the image, opening it up through the restyling and relocation of the logo. 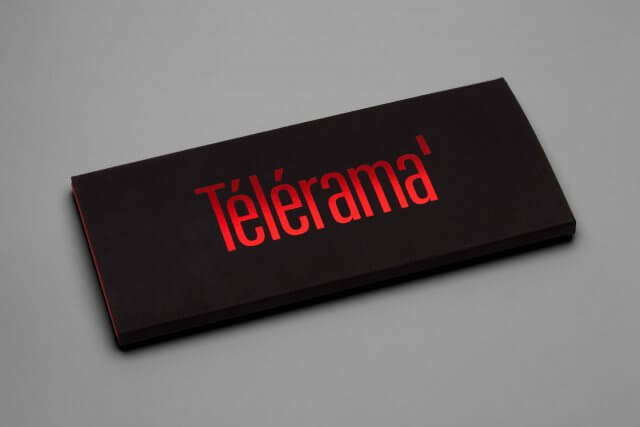 The Télérama brand asserts itself in the composition, while allowing the image a space to exist. 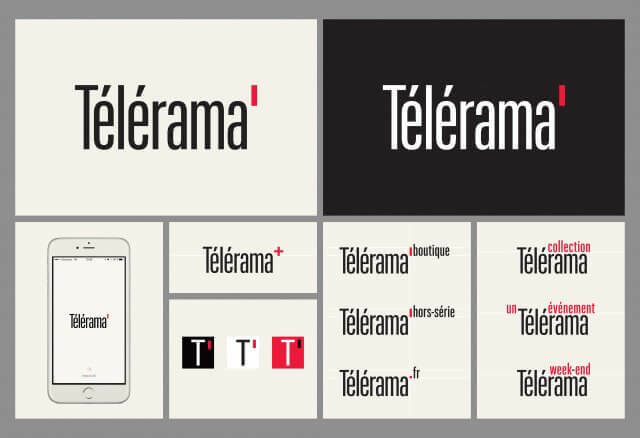 The logo is both iconic and simple enough to convey the Télérama tone throughout the different products of the group. 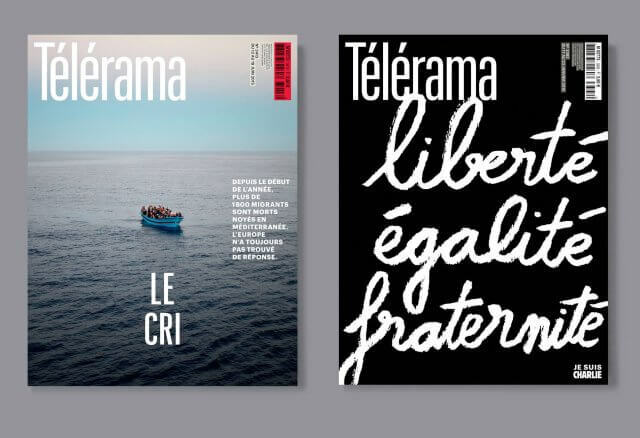 The code bar box is replaced and used not as a brief constraint but as an element which constructs the masthead. 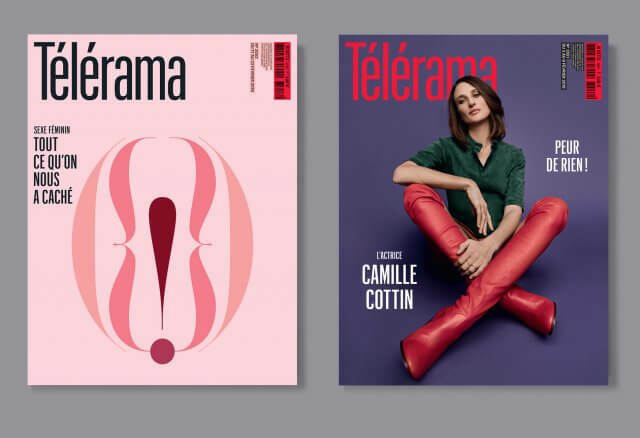 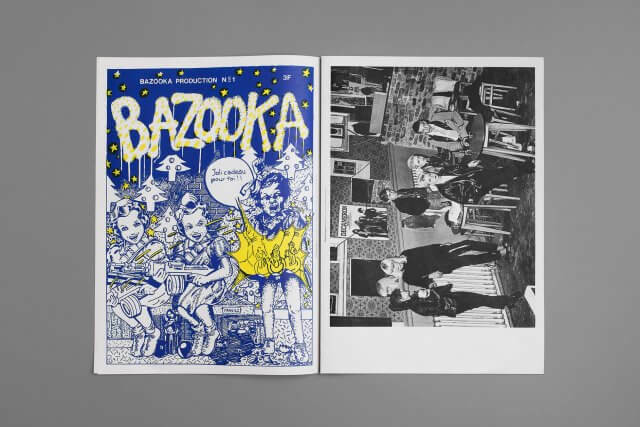 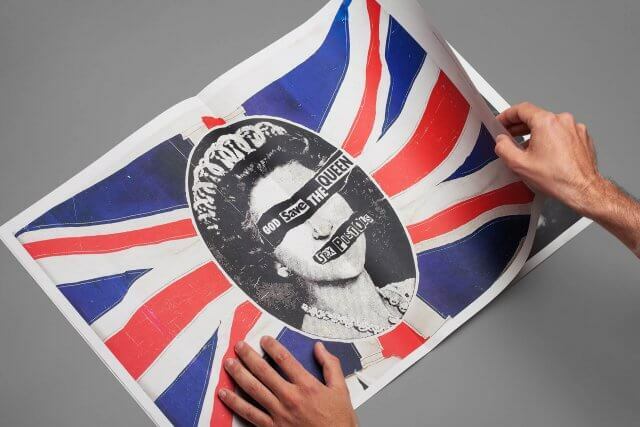 The cover layout is organized to work as an opening to the magazine, as much as to enforce the brand’s values, without imposing them aggressively, following the publication’s own policy of informing without imposing a certain point of view. 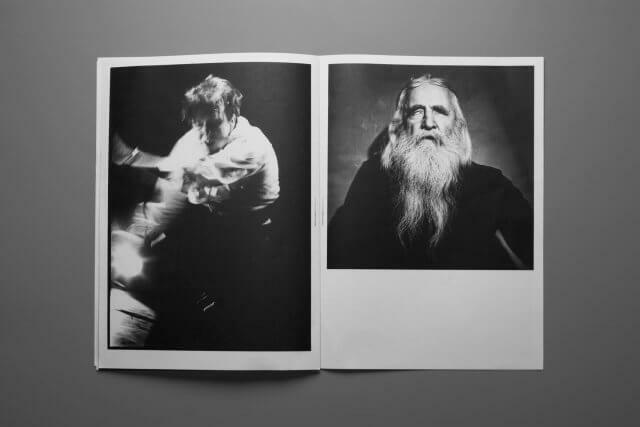 It helps the reader to make choices while supporting his free will. 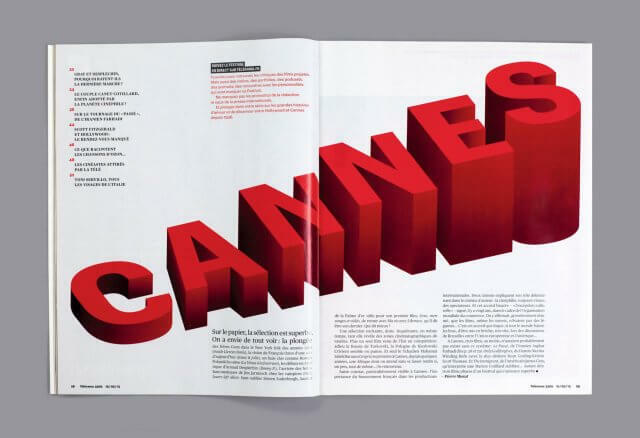 In this spirit, the two sets of characters chosen, designed by Christian Schwartz and Paul Barnes at Commercial Type, have the advantage of taking up less space and contribute to opening up the page. 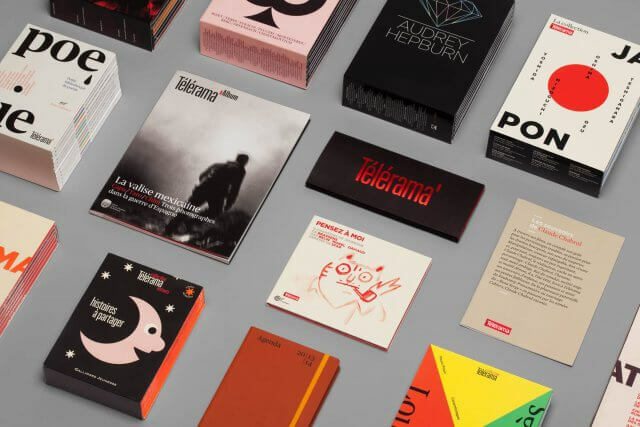 They participate fully to improve the publication adding clarity and simplicity through the minimum use of variations of type sizes possible. 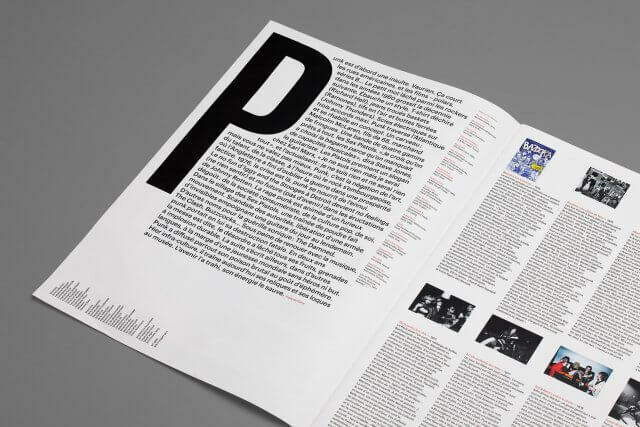 The chosen grid made up of seven columns makes for a better reading experience, and allows us to generate more playful and interesting page layouts.